The Hye Pointe Church of Bradford, MA, will hold its “Autumnfest 2018” on Friday and Saturday, Nov. 9-10, 11:30 a.m.-6:30 p.m. both days, on the church grounds (1280 Boston Rd., Bradford). 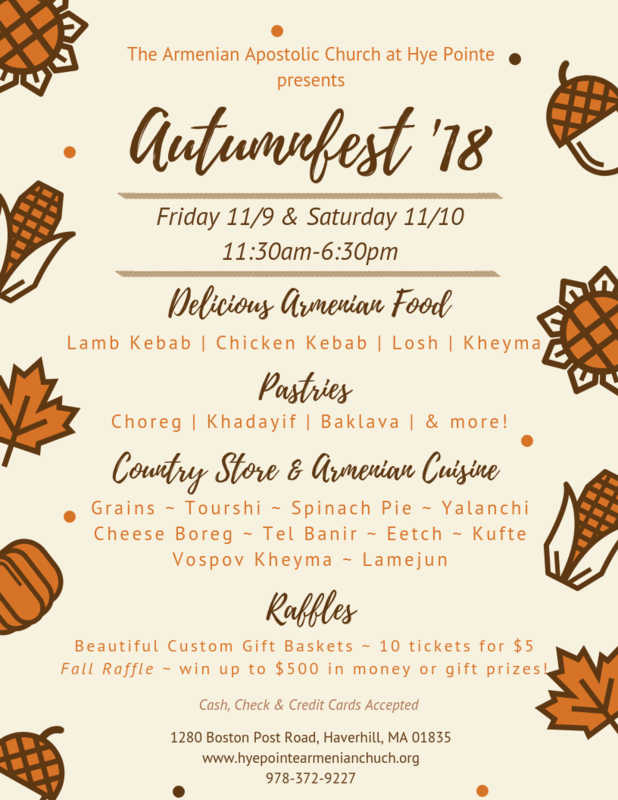 Armenian cuisine and pastries, raffles, country store. For information visit the parish website, call (978) 372-9227, or click the link to view a flyer.